Mae Pranom Pad Thai sauce allows you to create an authentic Pad Thai (see recipe) in less time than it takes to make from scratch. 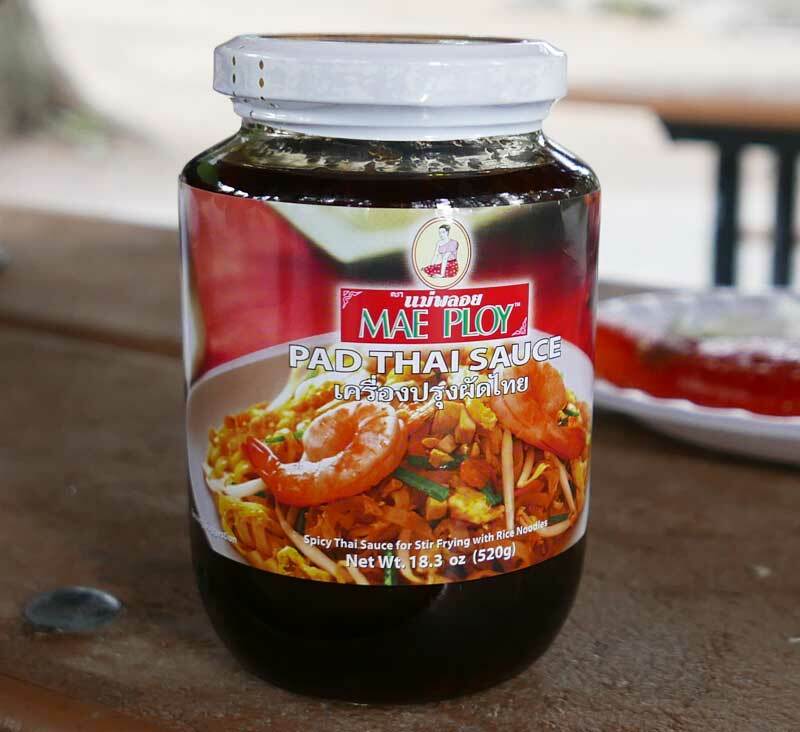 Many customers like Mae Ploy brand Pad Thai Sauce because it has a complex flavor, with a combination of sweet, sour, hot and salty. The photo below is a Pad Thai we created in very little time using this product. Simply soak a small amount of rice stick noodles in a bowl of warm water for half an hour or so. In a skillet over med/high heat, fry a bit of shallot in oil then cook chicken or shrimp. Push to the side of the pan then add a small handful of soaked rice stick (don't add too much). Add a 1/4 cup water, and two generous spoonfulls of Pad Thai Sauce. Stir fry together then push to the side. Add an egg to the pan, stir egg as it cooks then mix ingredients together. Serve with fresh green onion, slice of lime, crushed peanuts and, if availabe, fresh bean sprouts. To make it more fancy add a bit of sliced salted radish when you start to cook the noodles. Ingredients: palm sugar, shallot, water, fish sauce, soy bean oil, vinegar, tamarind, red chilli, salted radish, dried shrimp, salt. No preservatives.